For those who suffer from poor cellular coverage in their homes or businesses, up to now there have been only a few possible solutions to this dilemma. Devices such as signal boosters or microcells did help in certain scenarios, however few options were truly all that effective or reliable. Trust me, whether it was for my own personal use or working with my clients on this issue, I had not found a solution that was consistently effective or practical, especially when it came to cost. One potential answer was a technology that is now called Wi-Fi Calling. Simply put, Wi-Fi Calling technology allows compatible cell phones to use Wi-Fi networks as virtual cellular towers with no additional equipment or infrastructure necessary. I had been following this technology for years and felt that it could be one of the best solutions to poor cellular signal issues. Since most people have Wi-Fi in their homes or businesses, deploying Wi-Fi Calling seemed like a no-brainer. However, this technology had been in the works for years and only saw extremely limited support with carriers and cell phone manufacturers. To my chagrin, it seemed as if this technology might never see mainstream adoption. However, as they’ve done many times in recent history, it took the support and backing of Apple to make this technology available to the masses. 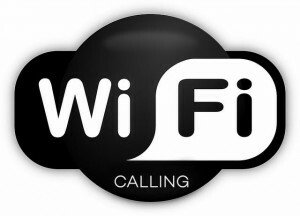 Only in the last few months has Wi-Fi Calling become available to most of us. Wi-Fi Calling started to peek its head out a few years ago with certain carriers and certain smartphones supporting it. 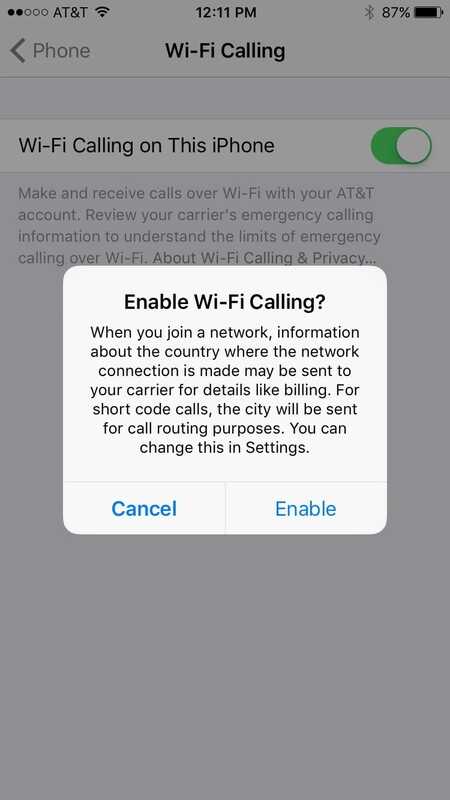 When Apple released iOS 8 in 2014, T-Mobile was the first carrier to support Wi-Fi Calling on iPhones. 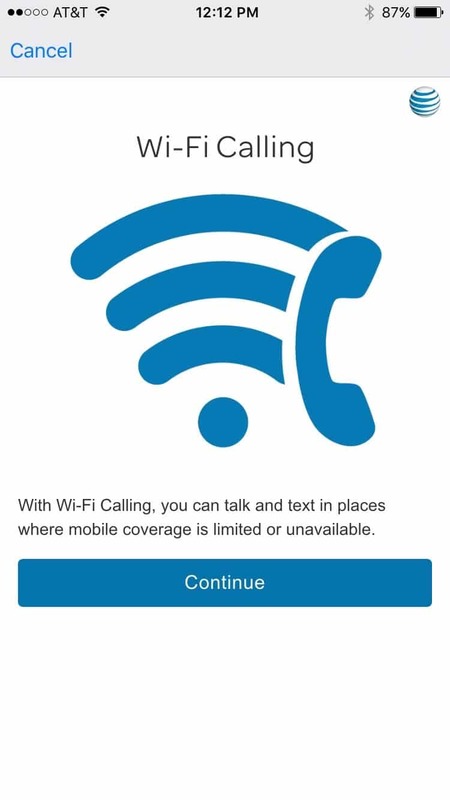 It took another year for the other 3 major carriers to support Wi-Fi Calling, but in the fall of 2015, with the release of iOS 9, Sprint, AT&T, and Verizon finally support Wi-Fi Calling. 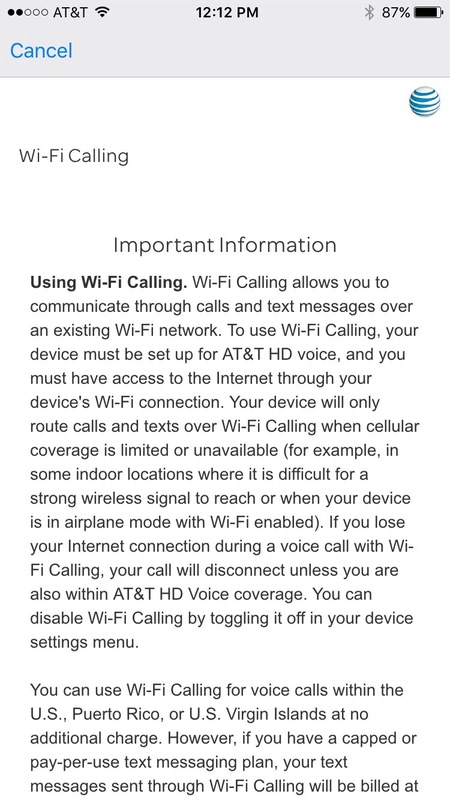 Note that Verizon doesn’t quite support “native” Wi-Fi Calling for iPhones yet, but they should support it very soon. 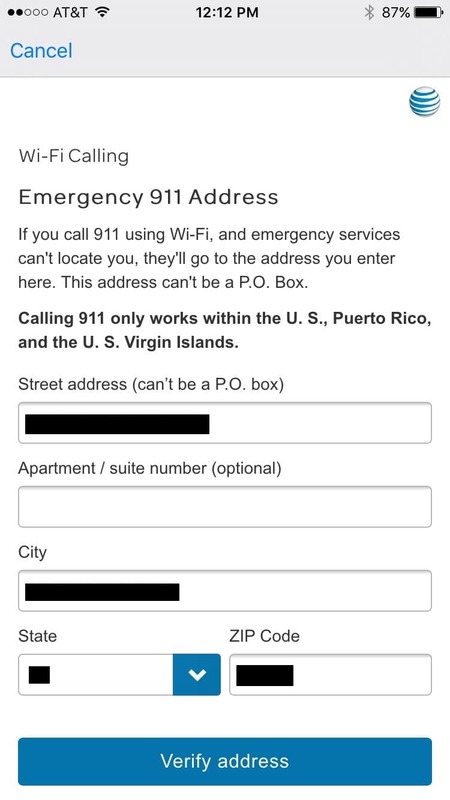 In the meantime, you can perform Wi-Fi Calling with Verizon’s Message+ App. The various carriers all support or will support a variety of Android phones, but you must check with the carriers for compatibility. Sprint and T-Mobile support the iPhone 5C and up, while AT&T and Verizon only support Wi-Fi Calling with the iPhone 6 and up. How Well Does Wi-Fi Calling Work? 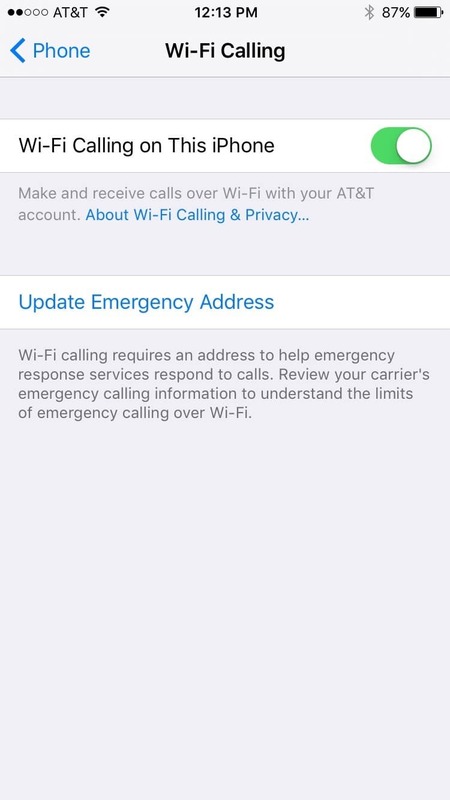 I’ve been testing Wi-Fi Calling for the last two months with my AT&T iPhone 6S, along with setting it up on my wife’s iPhone 6S and the iPhone 6 of each of my two kids. Prior to starting the use of Wi-Fi Calling, I hadn’t noticed too much of an issue with cell phone coverage in my house, although it does tend to only have 2 bars in most rooms, especially the basement. I was somewhat surprised that the “AT&T Wi-Fi” indicator came up right away, since the protocol is only supposed to kick in if the cellular signal is “poor”. 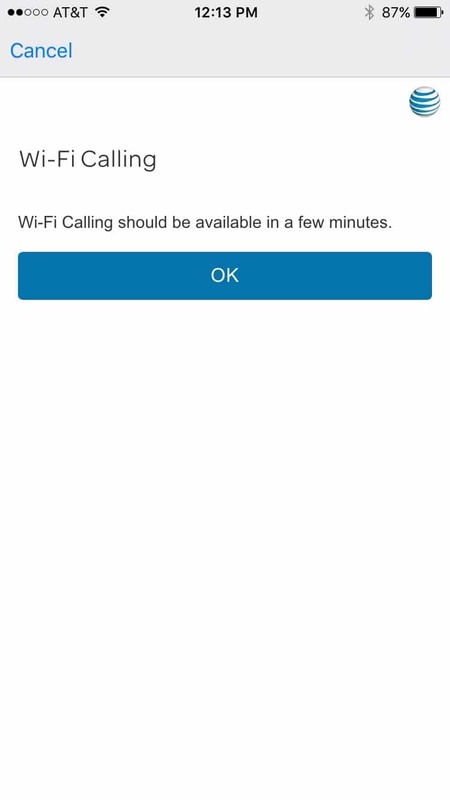 In observing the operation of Wi-Fi Calling at various client locations and other areas with Wi-Fi, the Wi-Fi Calling indicator seems to be active, even with 3 and sometimes even 4 bars of signal. It seems that Wi-Fi Calling errs on the side of using Wi-Fi even if the cellular signal isn’t necessarily “poor” (at least by my definition). I think this is probably a good thing, as I would think that a nearby Wi-Fi signal is almost always going to be more reliable than a distant cell tower. The odd thing about testing Wi-Fi Calling is that it is basically very uneventful. Phone calls simply work and that’s not very exciting in and of itself! However, I’m sure it would be very exciting to people who couldn’t reliably use their cell phones in their homes or offices! Finally they can use their cell phones without worrying about the call dropping or wondering why their phone didn’t ring and suddenly they have a voicemail. In my testing plus observing the operation of my wife’s and kids’ phones, Wi-Fi Calling seems to “just work.” It automatically turns itself on when in range of a Wi-Fi signal and if for some reason the Wi-Fi signal is weak or the Internet connection is down, it automatically turns itself off and reverts to using a cellular tower. I’ve even tested Wi-Fi Calling over a satellite Internet connection in a location with almost no cell phone coverage. It seemed to work very well although admittedly, it was limited testing. I really wish Wi-Fi Calling had been available when I lived at my previous house. The coverage there was terrible and while a signal booster improved the situation, there were still areas in that former house where the call quality was bad and calls would never ring. I’m certain that Wi-Fi Calling would have greatly improved our cellular service. 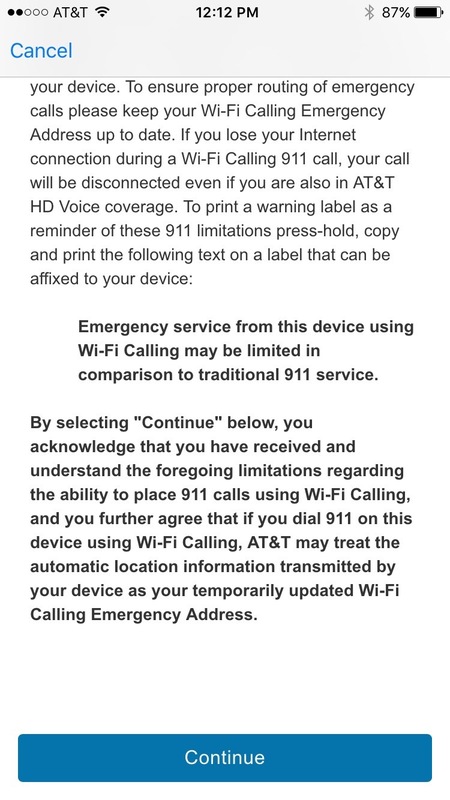 Since all four major carriers have support for Wi-Fi Calling in place, I encourage everyone who has a compatible smartphone to take advantage of this new feature. There are almost no downsides to having it on and it should only result in improved cell phone reliability. If you have an Android phone, you must contact your carrier for current compatibility and your phone manufacturer for configuration instructions. Go to the Settings App, then scroll up and tap on Phone. Tap on Wi-Fi Calling. Depending on your carrier, the steps from here on out may vary. In the case of AT&T, tap the continue button on this screen. When you get this screen, scroll up . Tap the continue button. Again, these steps may vary depending on your carrier. 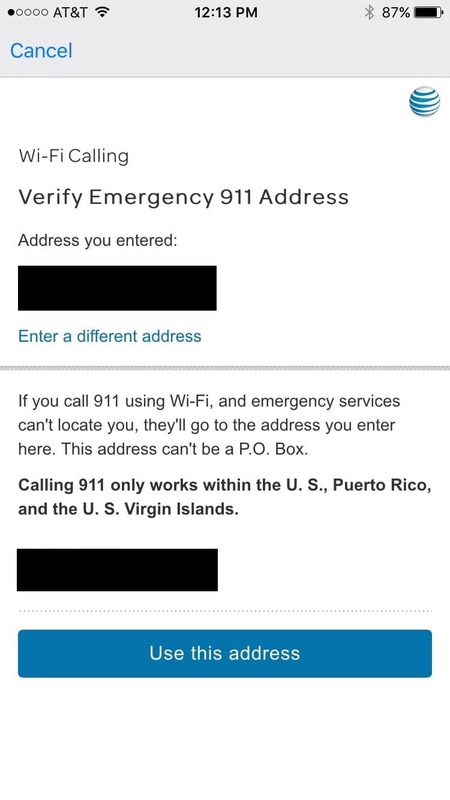 You will need to enter an address for 911 service in case your location can’t be automatically determined. You should enter the address you spend the most time at, likely your home. This confirms that Wi-Fi Calling should be activated soon. Tap the OK button. When Wi-Fi Calling is activated, the slide will turn green. In my experience, this only takes about 5-10 seconds. 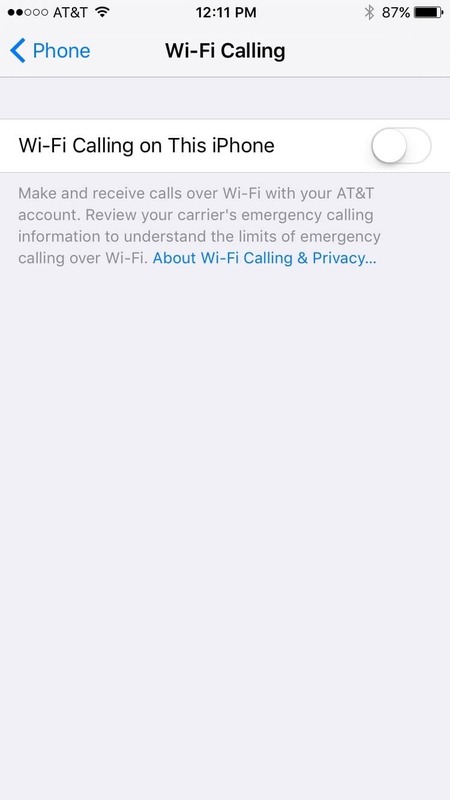 When Wi-Fi Calling is in use, you’ll see the word “Wi-Fi” in-between your carrier and the Wi-Fi signal indicator. 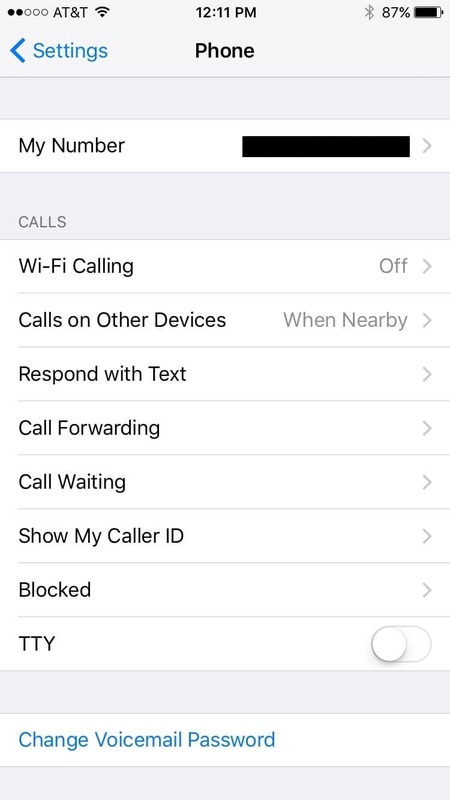 If you own other Apple devices, such as an iPad, iPod Touch, Macintosh computer, or even an Apple Watch, you can enable those devices to use Wi-Fi Calling as well. The details of setting this up on the various devices are beyond the scope of this article, but you can read more about it in this Apple support document. It is nice to be able to make or answer a call on any of your devices in case your iPhone is out of charge or not close to you at the time. If you have questions about Wi-Fi Calling or any other technology topic, please visit my Technology Q&A section and I’ll be happy to answer you!